Updated at 5:45 p.m. with comments from the Republican state chairman. Gov. 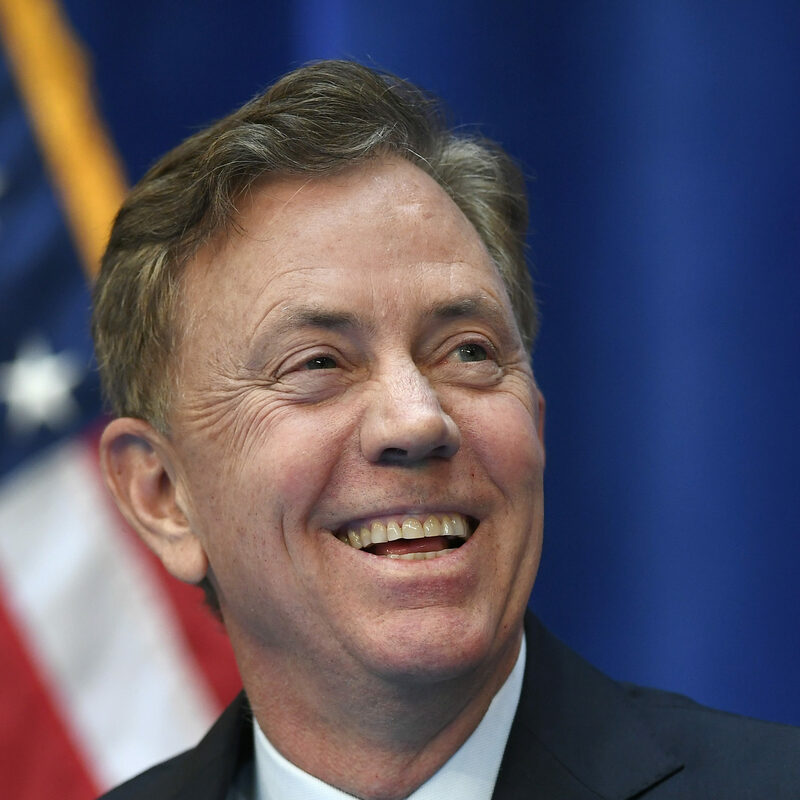 Ned Lamont dismissed an accusation Tuesday that his plan to replace members of the University of Connecticut Board of Trustees has anything to do with election politics. 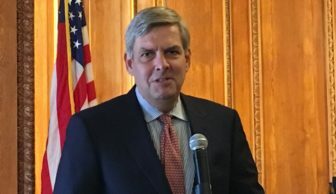 The CT Mirror first reported Monday that the administration intends to install “a slate” of new trustees, that chairman Thomas E. Kruger would be stepping down on April 24, and that long-serving trustee Denis J. Nayden — who backed Lamont’s Republican opponent Bob Stefanowski last fall — also would be leaving. A former GE Capital chief executive officer who has served as a UConn trustee during the administrations of Lamont’s three predecessors, two Republicans and a Democrat, Nayden also contributed $100,000 to a super PAC that helped Stefanowski buy attack ads directed at Lamont. The second meeting with Lamont and Nayden never materialized, but Lamont said his administration is trying to change the culture on the Board of Trustees — and it has nothing to do with politics. Stefanowski argued Tuesday that Lamont’s decision to oust Nayden stems from last fall’s campaign. Stefanowski wasn’t the only Republican taking aim at Lamont Tuesday. GOP State Chairman J.R. Romano delivered a stinging attack on the governor late Tuesday afternoon. The administration did not immediately respond to Romano’s criticism. The governor’s staff hasn’t yet said how many trustees — who serve staggered, six-year terms, would be replaced. But Lamont said that he is looking to take a new direction with the board. Lamont, however, insists that he isn’t planning to make wholesale changes. A businessman, Lamont has said UConn needs to be a central element of the state’s efforts to grow the economy.